Happy Anniversary Grosvenor Square–the first post one year ago this month! 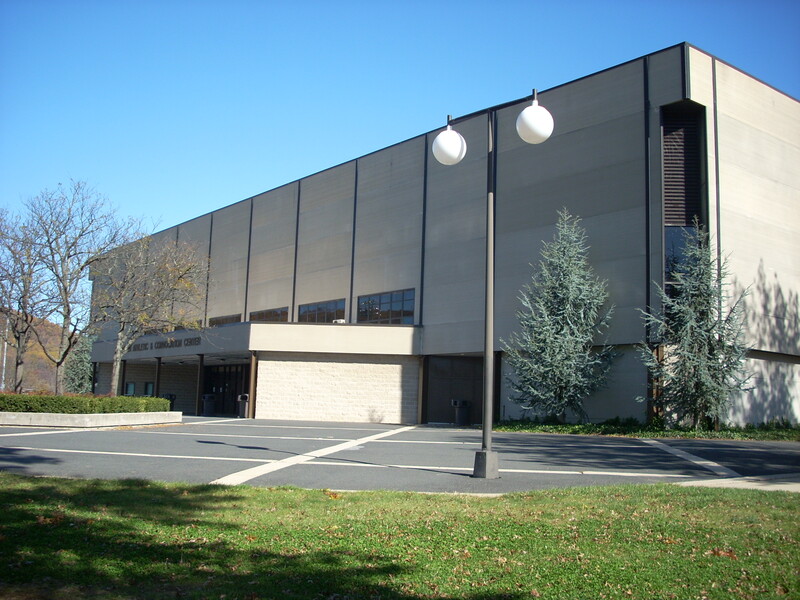 Stabler Arena is located on the campus of Lehigh University, Bethlehem, PA. Named after its contributor Donald B. Stabler, the arena opened its doors on May 27, 1979. 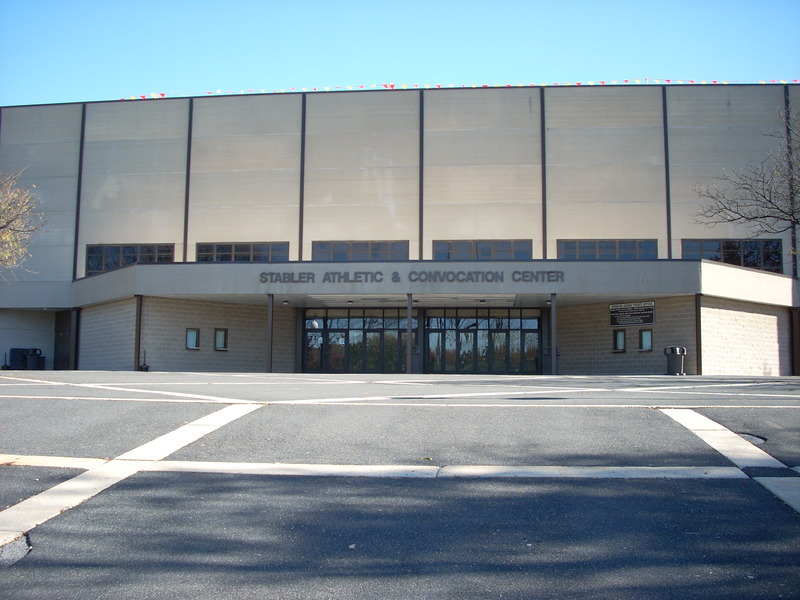 Stabler is a multi-purpose venue that hosts sporting events, concerts, other University-related activities. It is known for its superior acoustics and so has been host to a number of concerts and audio/video recordings. Nirvana, Bob Dylan, Phish, and Billy Joel have played here, among others. The Grateful Dead played here on September 25, 1981. It is known to have been a small, but stellar show with a long and interesting setlist. This included a Friday night Sampson and Delilah, but they were in Bethlehem after all. Lehigh University is located in a somewhat rural bucolic area, set among old barns and stone houses, making an interesting setting for a Dead show. Stabler is a typical late ‘70s utilitarian building. The first picture here is of the main entrance of the arena, the second a side view of the building. Looking at these photographs, one would not realize that there was a football game going on next door while I was taking these pictures, a parking lot scene of sorts—tailgating, people, and cars everywhere! Many thanks to my friend Linda that parked in the middle of all this, so I could take these pictures. Your brother Bob (a Deadhead) will be proud of you!